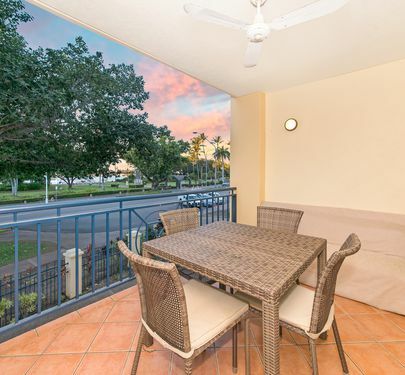 Situated in what is arguably Townsville's best street these units have been carefully maintained by the current owners over many years. However the time has now come to divest this solid investment as the owners have retired. 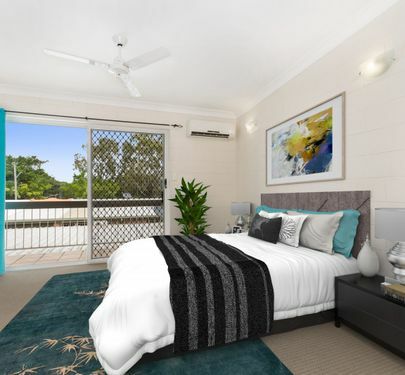 Featuring red brick construction, 3 x lock up garages/6 covered car spaces and so as to make the property both more attractive as well as easy to maintain and more durable the owners have covered the original flat roof with a practical pitched roof. The owners have continued to retain one of the nine units for themselves over many years and the other units have long term tenants in place. Potential returns of 6% are on offer once fully tenanted. Units such as these in one-line and in such good condition are hard to find in North Ward itself let alone in the best street in town! 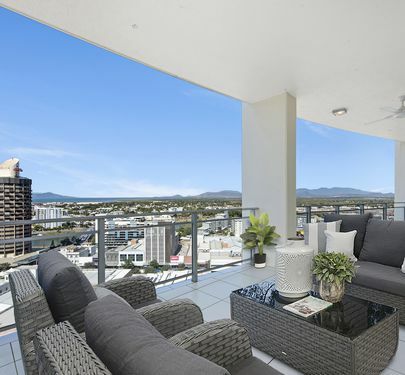 This luxury sub-penthouse apartment is in a class of its own and setting a benchmark in Townsville for stylish living in the heart of the city which has become a modern reality. Offering stunning ocean and marina views and also mountain vistas from a prime city location, the 322sqm apartment offers total luxury living - 3 bedrooms all with their own luxurious ensuite, large office plus powder room, open plan living and dining which flows onto the massive 62sqm balcony that overlooks the fabulous views. Two car parking and a 18sqm store room. The fine balance of tone, texture and lighting all combine to provide a beautiful ambience both relaxing and inspiring. While the exterior design of the building will impress, it is the remarkable interiors and streamlined resort-style facilities that will impress. Full security upon entry to the building and to your very own apartment level ensures your privacy, comfort and security at all times while on level 4 the swimming pool and barbeque facilities cater for your leisure time. Join the Australia-wide shift to move into the very heart of the city and explore the new experiences on offer. The restaurants, cafes and nightlife of the city beckon, supermarkets and local delis are all responding to this new urban renewal. Consider the move today - life will never be richer, exciting or more fulfilling as you relax on your balcony and take in the marvellous ocean, marina and city views and reflect on the better lifestyle you now lead - you will agree this luxury sub-penthouse at T1 really does have it all! With classic, refined style and modern touches highlighting this delightful residence embracing the panoramic river aspect and views. The home revels in the established gardens and with multiple entertaining areas creating the perfect blend of quality living and peaceful ambience. With 202sqm of numerous living areas all located on the main level, ease of living is all provided on the one floor. 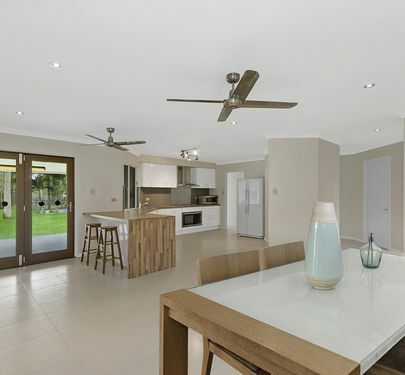 The large solid timber kitchen with granite benchtops adjoins the large family/rumpus room and the covered outdoor entertaining area – what an ideal spot to enjoy a meal with family or entertaining with friends! During the Monsoon event no water accessed the house!! 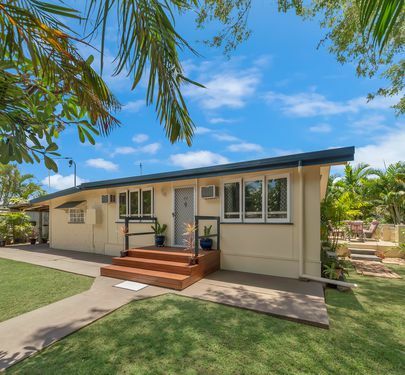 Situated directly opposite parkland and the Ross River plus minutes to some of the best schools Townsville has to offer, Townsville Hospital, James Cook University and the Army Barracks this grand home has everything you are looking for in a perfect family home. The prime location of 23 and 25 Cook Street North Ward are two 1012 square metre blocks side by side with a total of 8 units on site. One block has 4 x 2 bedroom units which has an in-ground pool. The other block has 2 x 2 bedrooms units, 1 x 1 bedroom unit and 1 x 4 bedroom unit. There are no body corporate fees for this complex. Currently 4 units are occupied paying $200 per week rent. 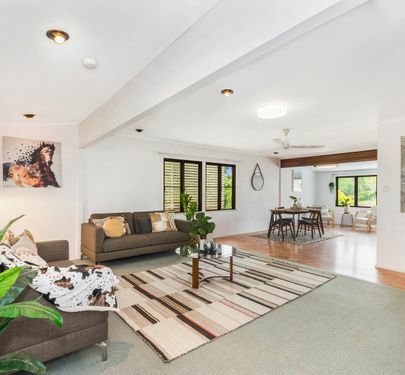 A 1012 square metre block is a prized possession a 2024sqm block with massive income potential is a real estate dream come true and rarely offered to the marketplace. Possibilities include renovation, transform this location to the ultimate Airbnb address or potentially a complete redevelopment of the site. ​Rarely do investment opportunities like this make themselves available at such a great price. On offer is an entire complex of very low maintenance units in a central location close to shops, schools and public transport. The units are in excellent condition with great rental history and very low outgoings. With so much on offer here where do you start? This impressive family home has everything you need to enjoy your acreage lifestyle, we are overflowing with a long list of features to please every buyer and recently completely renovated this home is the pick of the crop. - Top it all off with Fruit trees, veggie garden and worm farm!! If this list of amazing features doesn't peak your fancy. What will???? This gorgeous executive home is a perfect place to raise a family. The balance of opulent style and sophistication make this home the perfect entertainers delight whilst also providing perfect sanctuary for the growing family to call home. The house was specifically designed to allow for split living having the kids down one end while you can live up the other. Light-filled and fully tiled the layout is carefully considered and perfect for the modern family. The sleek and central kitchen design allows you to be part of the activities without being overexposed and features quality appliances. Carefully placed rooms all feature built in wardrobes and split system air conditioning. The over sized master bedroom is perfectly designed with your walk through wardrobe and large en suite. Keeping cool in summer is easy you can jump in your in-ground pool which is just off your deck or you can come inside and use your air conditioners because the solar system on the roof makes it much more affordable. This property is perfectly situated at the end of a court with no through traffic but still close to the shops. Come and check this place out! You won't be disappointed! Bare with me while I list the features of this property. Lets start with the location, completely peaceful, views for days and not to mention the river at your door step. Just have a look at this beauty; only 200 meters from the Bluewater equestrian centre. 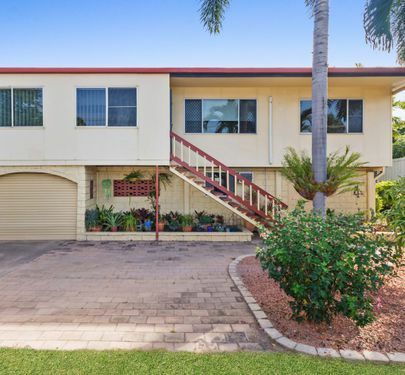 If you're a huge horse lover or trainer, you really need to inspect this sensational property - devoted to horses and a growing family. The 3 acre property is perfectly set up for horse lovers, with two sets of stables, a round yard & a fully powered 5 bay shed plus workshop to store the float and tack! 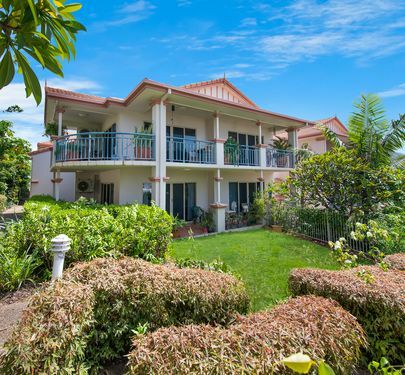 The large pole style family home offers 4 Bedrooms- master with ensuite and walk-in robe, two living areas formal lounge with large bay windows overlooking the property. Modern kitchen with all the mod-cons, solar system, balconies and breezeways all around the house, and a stunning concrete infinity edge pool accompanied by the large outdoor entertaining area looking down the hill towards the river. The kids also wont be disappointed as they will have there very own HUGE cubby house complete with bunk beds and balcony. There's also a rope swing set up to swing and splash into the river with no fear of crocs. The fully electric fenced property is also equipped with watering systems linked to bore water as well as a riparian water permit to pump from the river. There is an additional 6x12 building complete with power and internet ready. If you've been searching for that unique horse property with a beautiful outlook while having the privacy everyone's looking for, then you must inspect this stunning horse haven. Massive Price Adjustment! Now Only $550,000!! Must Sell, Inspect Today! This is a one of a kind home timber hand crafted home by the sea. Upstairs features four large bedrooms, main with ensuite, a generous study & an open plan living area that meets a generous sized deck with views second to none. The bathrooms are plentiful in size embracing a rustic style. Downstairs you will have the additional bonus of a guest studio with its very own kitchenette, living space and fixed bed. The laundry is also located down stairs with a separate bathroom to service the guest suite. The guest suit too has startling views overlooking the in ground pool and lush tropical gardens. What is a holiday home without privacy and room for toys! There is more than enough room for the boat and cars under the house that will be fully secured with 6 foot fencing. 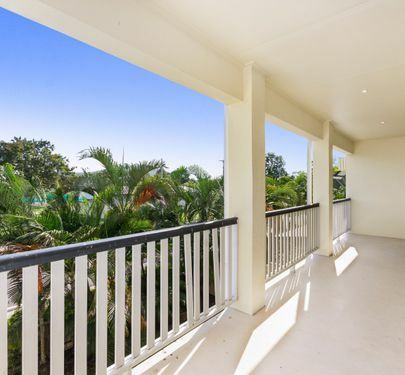 This property is retaining all natural beauty of the bush & beach with a large salt water pool nestled into the landscape and last but not least access the beach with ease on your very own decked path. - Country inspired main bathroom upstairs, plus an ensuite to the master bedroom. 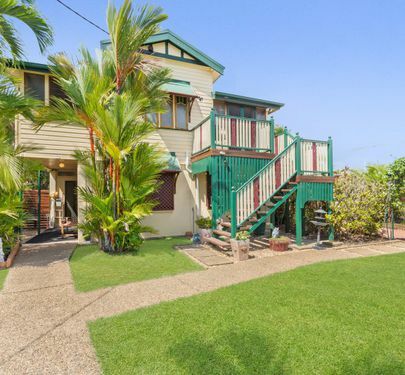 Built in 1904, this unique & delightful property is a part of Queenslander history. Featured in the book “Barefoot through the Bindies - Growing up in North Queensland in the early 1900s” it details how Connie lived at 36 William Street from the day she was born to the fine age of 90. 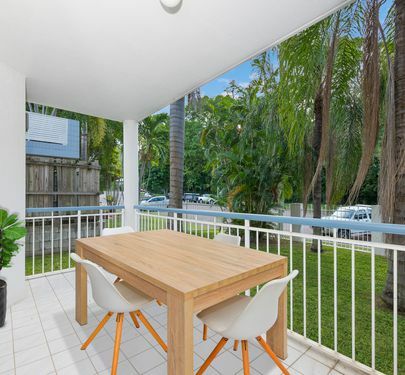 The current owners haven’t quite matched that but have loved every moment of their 25 years during which time they professionally added an extension providing a fantastic rear deck overlooking the tropical gardens on the traditional 1012sqm block. If you wish to be 5 minutes to the city & have privacy this is the home for you. 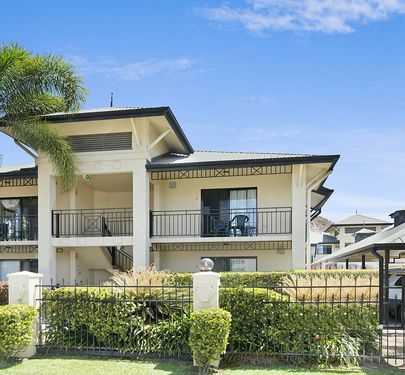 A common complaint about historic Queenslanders are the small bedrooms, this home features a massive master bedroom complete with large walk in robe & ensuite. A hidden gem of West End providing endless peace & tranquility, situated near the base of Castle Hill in an end street, Not often do you find a home with classic features & history, combined with modern luxury, homes of this standard are rarely offered to the market. 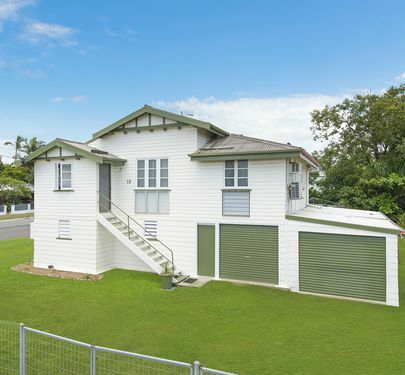 4 bedroom 2 bathroom Queenslander offering storage & bonus office downstairs. IMMACULATE HOME! THIS ONE WILL SELL!! Situated on a 1215m2 block this unique residence gives a rare opportunity to the purchaser. What was once a bustling church has been converted into a truly beautiful family home bursting with character and charm. Imagine the occasions and lifestyle that your family and friends will enjoy for years to come. 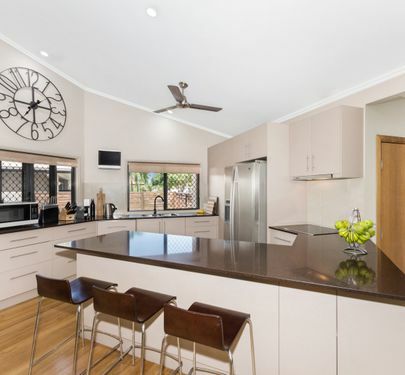 Upon arrival you will smile at how attractive this classic home is, picture perfect, offering 5 bedrooms with huge open plan living, dining and kitchen flowing out to the covered entertaining area and sparkling in-ground pool. 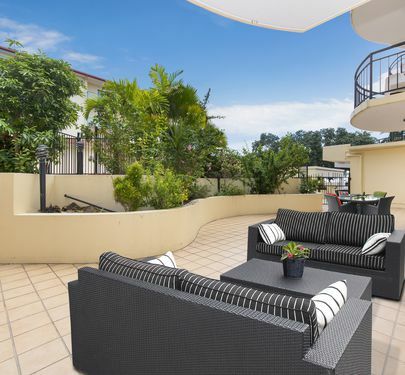 Well presented for immediate contemporary family living, the spacious selection of lounge and family areas are centred around a kitchen and entertaining deck for an exceptional family lifestyle. 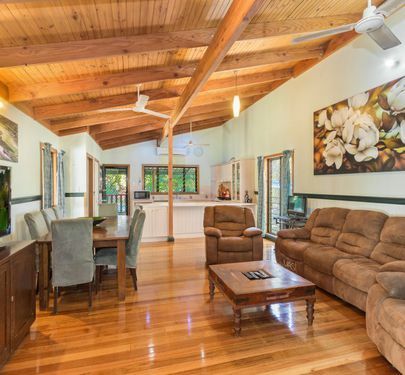 Polished timber flooring, cathedral ceilings and large windows present a light filled and comfortable layout. The sleek kitchen is equipped with large bench tops, glass splash back, stainless steel appliances and plentiful storage. The huge master bedroom includes a fantastic walk-in robe and ensuite. The other four bedrooms are really large and fitted with built-in robes and are all within easy reach to the main bathroom. 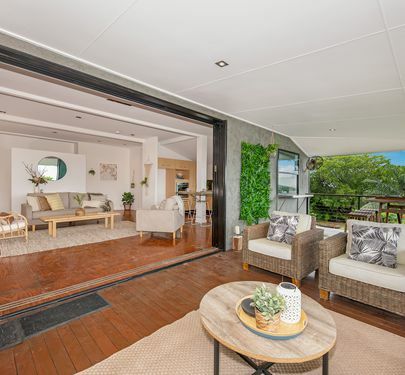 The huge glass doors open out to a generously sized entertaining deck, ideal for alfresco dining, as well as a swimming pool, for cooling down during those hot summer days. The backyard is low maintenance and is beautifully finished with landscaping for privacy. For ONLY $499,000! You Are Getting All This - Two Houses In One! Don't Miss Out. This Wont Last Long! If you are looking for a split living property either for investment and the security of two incomes from the one property, or if you have family to look after that still want some privacy and independence, you need to look at this home! An amazing home that's full of character. As you drive through the gate you are greeted by an archway of established gardens showing you your way up the driveway to the powered 6x6m double garage. Glancing left at the front garden as you pass you will notice not only stunning condition it's kept in, but also the height of this home that's well above legal. Previously upstairs and downstairs were registered as two separate units but when the new buyer purchased it she had it changed to a single dwelling so there is only one rates bill but two separate power bills. Upstairs the polished wood flooring and super high ceilings give you an expansive sense of space while the views across the rear deck to the palm trees really finish it off. There are 3 good sized bedrooms, a large kitchen with walk in pantry, a great sized lounge/dining room, a rear deck, and one of the funkiest bathroom spaces I've seen in a while. Downstairs is a completely separate 2 bedroom unit with a very large kitchen, excellent lounge and dining space, it's own front and rear access, a very well presented garden and courtyard for privacy and relaxation and it's own power supply meaning you can rent it out completely separate to upstairs which allows for excellent returns as an investor, or independence if you are looking after family members. Situated literally a stones throw to the Marter Hospital in Pimlico and within the catchment for some very good schools this property will be hard to pass up. Come and inspect today, You'll be glad you did! Privacy and convenience were high on the agenda when this home was designed. 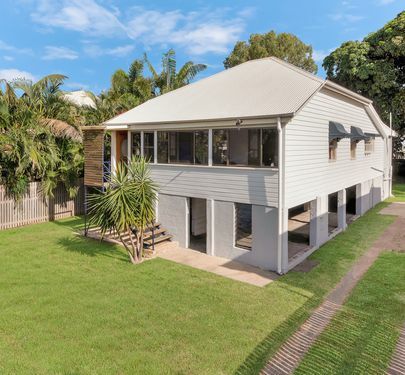 Situated close to the Bushland Beach shops and directly across the street from a kids play park makes this house very unique. At the same time the house is designed to be open with a view while also catching the sea breezes that rush through. Outside has been designed for comfortable living with a fully decked entertaining area overlooking the great sized pool that even comes complete with a spa. Being a large corner block you will also have double gate access to the backyard with plenty of space for boats, caravans kids or a epic shed if you like. Inside the house there is plenty of space. A well designed floor planned allows for privacy as well as what feels like seamless indoor / outdoor living. 4 bedrooms, 2 bathrooms, a study nook, a good sized TV room and a perfect kitchen for a large family. With Bushland Beach back on the rise you will be crazy to miss this executive home at this price. 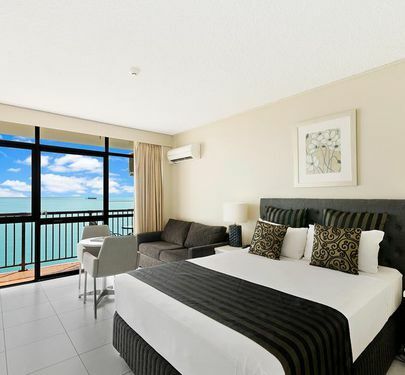 A stunning 3 bedroom unit is on the market in the prestigious Jade Apartments. This unit stands out from the crowd in style with an absolutely massive rear patio area which also includes Body Corporate approval for a shade cover. 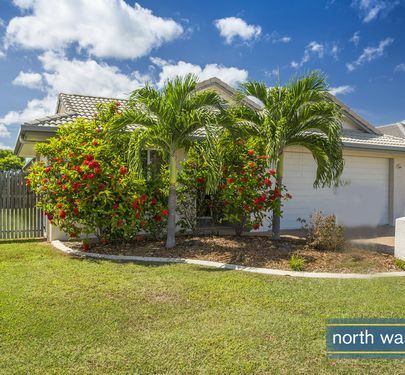 Very few units in Townsville have this amount of exterior space which is perfect for North Queensland living. Featuring a fantastic floor plan and a front patio accessible from both the bedroom and lounge room with fantastic views of the resort style swimming pools. Endless breezes create a relaxing atmosphere. 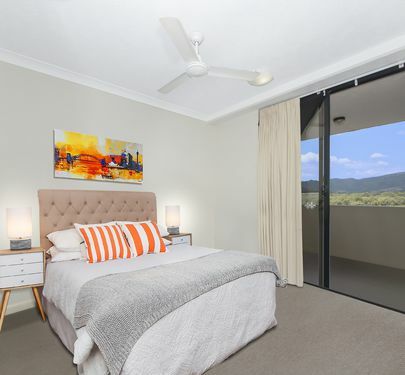 You will have a tough time deciding to come home and relax in this fully air-conditioned unit or sitting on the patio and checking out the views of Castle Hill, with its modern kitchen you'll be cooking up a storm in no time. Jade Apartments is fully NBN active, has a fantastic gym, a separate storage room, gated underground parking with ample visitor parking and a very dedicated on-site manager. For your daily dose of vitamin D why not take a dip in one of the three resort style pools, with three separate BBQ areas. Body Corporate levies approx. $2038 per 1/4 year. 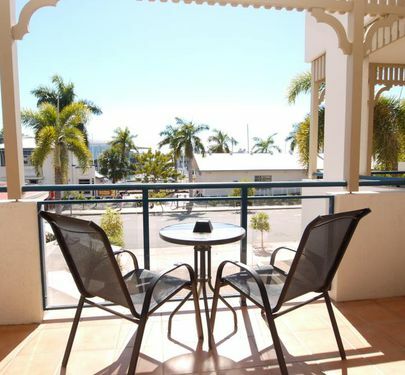 This beautiful apartment is in the heart of Palmer Street, with so many eateries to mention you don't have to walk far and not forgetting also just across the road from the Townsville Yacht Club. This 128m2 apartment is so spacious with both bedrooms especially large!! The kitchen offers luxury appliances including dishwasher, stone bench tops and plenty of bench space. The master bedroom has direct access to the large tiled balcony and is also serviced by an ensuite and walk through robe. The living/dining area is open plan and that also has direct access to the balcony. The main bathroom is spacious and beautifully appointed plus for your convenience there is an internal laundry. Resort style facilities with large outdoor swimming pool and BBQ area. Secured basement parking is provided for one vehicle plus plenty of visitor parking, with lift access directly from your unit door. This can be sold with furniture or without whatever suits you. A VERY UNIQUE HOME................PRICE ADJUSTMENT!! Walking into this amazing home you will be greeted by the amazing decor and fantastic view from your large wooden deck. - Two huge bedrooms with room for a study nook in one. Hurry at this price this home won't last. - On Site Management and full building security. Situated on the banks of the Ross River sits a beautiful 2nd floor renovated unit. 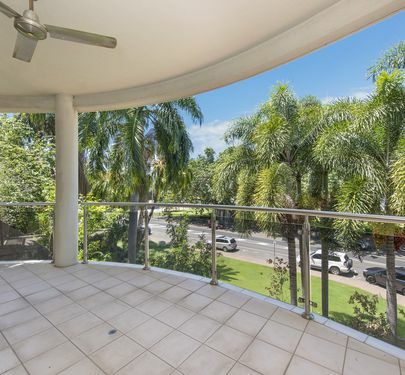 Exuding style and luxury this apartment has the most beautiful views from its large balcony. 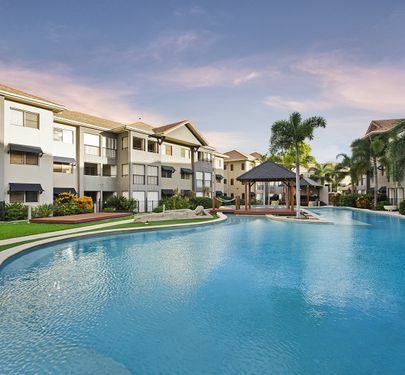 Surrounded by parkland you are still central to the Townsville Hospital, James Cook University, Lavarack Barracks plus at your doorstep is Riverway lagoon pool. With walking and bike tracks at your doorstep this location ticks all the boxes. This modern unit has quality commercial grade flooring easy to take care of and apart from the two good size bedrooms there is large study with its very own balcony and tinted windows for privacy - this unit has truly been turned into a wonderful home. Open plan living with kitchen, living and dining areas all leading directly out to the large balcony overlooking the river. Don't forget the two car spaces and a store room!! Plus an onsite manager to call upon if needed. A plethora of eateries across the road plus The Willows shopping centre only a two minute walk away. This Home Will Tick All The Boxes! The first thing you notice at this property is the massive 6x10m solid block garage which is perfect for the tradie. This beautifully presented home has everything you need. Upstairs contains the main lounge and dining room, along with 3 air-conditioned Bedrooms all with built-ins. The stunning Tasmanian Myrtle kitchen contains a walk in pantry and ample cupboard space. Downstairs is not legal height but it is a fully enclosed secured area ready to be turned into a rumpus room, teenagers retreat or a theatre room with additional sleeping areas. On more than 800sqm this corner block boasts two entrances, one of which is electric gated. In between the massive four bay garage and the house a huge Pool takes pride of place and gets you ready for summer with a built in BBQ and patio area. Around the home are well established gardens with fruit trees and a veggie patch which are looked after by an automated bore water system. With everything this house has to offer, plus you are in the council red zone which means you can actually build 5 storeys on this block without gaining special approval this is great for development, future potential. Come and check it out today! You won't be disappointed! 20 Acres & Only 5 Minutes To The Shops!! Imagine living in a little house in the middle of almost 20 Acres of land. This is the first time since 1970's that this property has been put on the market. The land its self is on a ridge so there is no concerns of flooding. There is a bore on the property with really good water and a irrigation set up around the house to keep everything nice and green. With 1 acre blocks selling down the road for High $200,000, you can get 20 acres for less than double that. All 20 acres are fully fenced. There is also a fully fenced house yard for the kids and pets. The house its self is a basic three bedroom one bathroom home that has withstood three cyclones and never missed a beat. When speaking with the owner she mentioned that their time as kids was spent exploring the bush, riding motorbikes, scooters or anything with wheels, milking the cows and of coarse riding the horses. As children they would ride every weekend to the Black River Pony Club. The whole paddock was devoted to horsing. They had segregated dressage, showjumping and sporting areas as well as their own cross country course. The area its self is still pristine and riding a horse down to the Alice River for a swim is still very easy to do. All of this privacy on almost 81,000 sqm of land and you are still only a 5 minute drive to Bunnings and North Shore shopping centres. This one wont last long, come and check it out! All This Room To Move For Such a Low Price! As you drive to the end of the Crescent and in through the gate you will instantly feel at home. 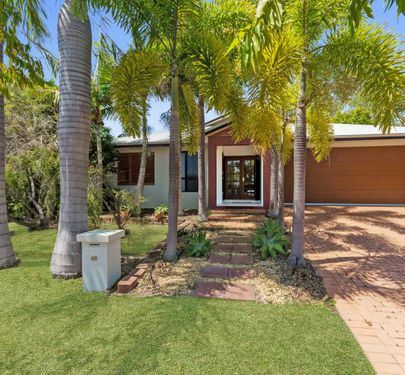 Surrounded by shady trees, gardens and a large water feature this 3 bedrooms plus study home sits privately on a 4000sqm block with no rear neighbours. Come on in inside, where you will find a home that has been fully painted with new tiles, lights, Clipsal frosted switches, air cons, fans, laundry and benches plus bathroom and vanity. The show piece is the large timber like bench top kitchen that looks out over the rear of the property and granny flat. All the appliances are new and you have a large walk in pantry that would almost be impossible to fill. Entertaining will be made easy with the large outdoor patio area off the kitchen looking out to the in ground pool and the peaceful surrounds of country living. Most of the hard work has been done on this property, it is ready for you to just move on in and start enjoying the peaceful lifestyle. Just bring the kids pony and family cow, because there is plenty of space for both and a submersible bore for grass food all year round. The bonus to the property is a separate granny flat away from the house that needs to be completed to your satisfaction. Would be a perfect spot to put the older teenager or mother in law. There is a kitchen and bathroom plumbing installed. You could add another couple of bedrooms or maybe 1 bedroom with a large living area. It's really up to you. - 2 way Bathroom with bath and shower combination plus vanity and separate toilet. This is a house you need to inspect to really see the features that it has. This two bedroom two bathroom ground floor apartment is situated in a quiet area close to the City. Both the bedrooms have built in wardrobes the main bedroom has an ensuite. Great outdoor area off both the living and main bedroom. The main bathroom has his and her basins as well as a bath & shower. Open plan living/dining area. The kitchen is appointed with stainless appliances. The internal laundry includes a dryer. Plenty of storage in the unit. There is a pool and BBQ area in the complex of only 8 units. There is lock up under cover car parking for two cars. This is a must see unit for those wanting to live close to the City, Strand and North Ward dining area. Lease is up shortly. Suitable for both owner occupiers and investors as the long term tenants wish to sign a new lease. 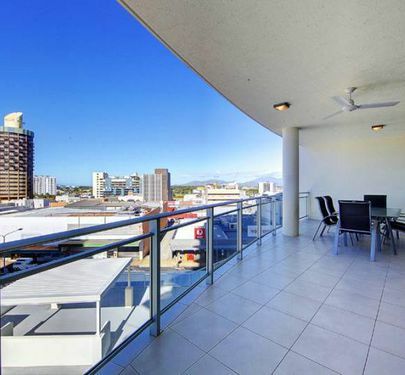 A stunning 2 bedroom unit is on the market in the prestigious Jade Apartments. Featuring a large balcony accessible from both the bedroom and lounge room with fantastic views of the resort style swimming pools. Endless breezes create a relaxing atmosphere. 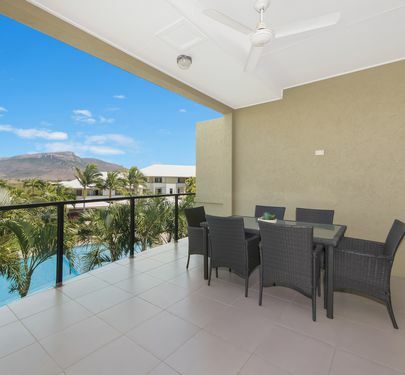 You will have a tough time deciding to come home and relax in this fully air-conditioned unit or sitting on the balcony and checking out the views of Castle Hill, with its modern kitchen you'll be cooking up a storm in no time. Jade Apartments is fully NBN active, has a fantastic gym, gated underground parking and an on-site manager. 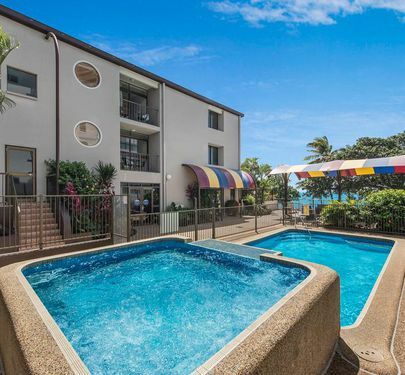 For your daily dose of vitamin D why not take a dip in one of the three resort style pools, with three separate BBQ areas and separate storage room. Body corporate levies approx. $2,009.72 per quarter year. This incredible neat and tidy four bedroom home is being offered up for sale and with some fantastic features this home will not stay on the market long!!! - This workshop has been thoughtfully designed with a very high roof line plenty of power points. This is an incredible opportunity to be paid to live right in the middle of North Queensland paradise. A fantastic location offering a great investment opportunity! 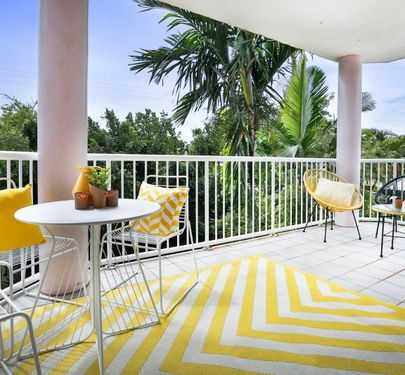 Live the beach side lifestyle in the very heart of North Ward. This extremely spacious 1 bedroom, fully furnished and self-contained apartment offers open plan living and dining with modern décor and quality fixtures and fittings. 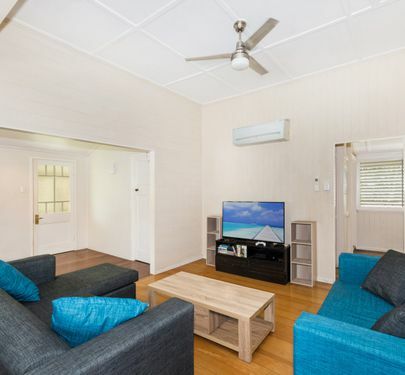 Fully air-conditioned for comfort and with covered allocated car accommodation, this apartment is definitely location, location, location with the added bonus of providing a regular income. 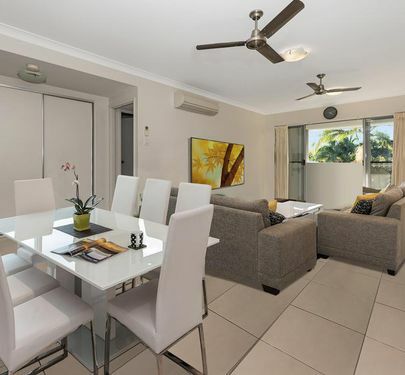 Lifestyle complex close to beach, schools, shopping centre, Magnetic Island Ferry, Castle Hill, golf courses. Opportunity for income growth by re-starting letting business as well as repairs and maintenance, or just sit back and relax. Would also suit singles or couple already in business who would appreciate the extra income with minimal work required. The Strand Life, Boats and Ice-Cream – It Doesn’t Get Better Than This! 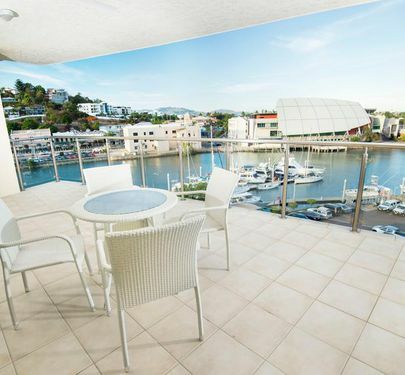 Not only is this gorgeous unit in the ideal location overlooking the Anzac Park and the Marina on The Strand, it is also within walking distance to the city, casino and the ferry terminal for all your social needs. And there is a pool in the complex too! The unit has 2 air-conditioned bedrooms, both having built in robes and with the main having an ensuite. The sea breezes flow through the air-conditioned large open plan living area and the functional kitchen features stone benchtops. The unit is situated on the first level with the balcony overlooking all the action on The Strand and the single lock up garage is on the ground floor. Security is assured with access to the complex via the lock up garage. Currently leased for $325 per week with favourable body corporate fees of approx.. $1,199 per quarter puts this unit at the top of the list. The Strand has always been one of Townsville best locations and will continue to be so will all the developments planned for the area. This 2 bedroom 2 bathroom apartment is located in the Harbour City complex. 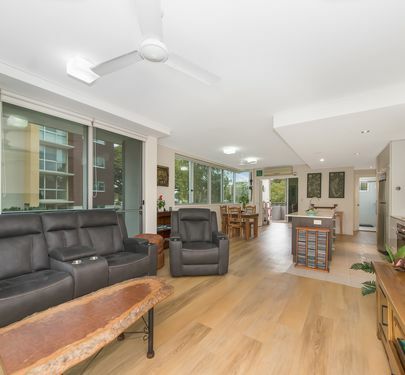 Walking distance to The Strand and Flinders Street East, CBD, Anzac Park, Entertainment Centre, Breakwater Marina and the recently renovated Casino. This particular unit is located on the 4nd floor and has water views. Featuring a great floor plan which offers balcony access from both bedrooms and lounge area. The large master bedroom features a walk-in robe, large ensuite and split system air-conditioning. The unit has a well-appointed kitchen and includes loads of storage and a large pantry. The living area is also air-conditioned by a split system. Secure under cover parking is provided plus a storeroom. This complex is service via two lifts and has a gorgeous resort style pool in the complex and a tennis court with huge outdoor entertainment area. This unit is vacant and ready to move into. Body Corporate levies approx. $1,436.00 per quarter. Massive Price Adjustment! Now Only $315,000!! Must Sell, Inspect Today! 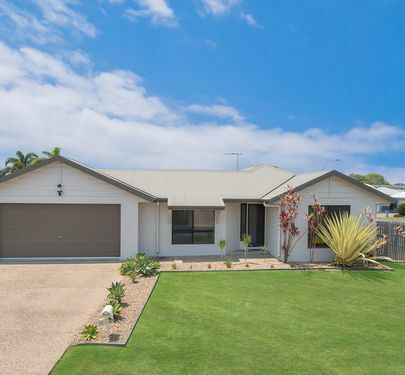 Welcome to 31 Tamarind Street in Kirwan. The expansive internal stairs open up to a large living and dining space with beautiful polished timber floors. Large windows allow natural light to pour in and breezes to flow through, while also providing views out to your garden. You have a fully equipped kitchen with plenty of storage space, and two different balconies to choose from to enjoy your morning cuppa or your evening glass of wine. Downstairs is fully built in, providing a bonus living space that would make a perfect teenager's retreat, study, or theatre room. This opens out onto a well-built deck perfect for outdoor dining and entertaining. All 3 bedrooms have their own unique decorative flair, built in wardrobes and split-system air conditioning. You'll love the renovated bathroom with floor-to-ceiling tiles and no step into the shower. This great home is situated on a 622sqm block with well established gardens and plenty of room for the kids to run around in the backyard. You can feel secure knowing that your 2 cars are locked inside your garage, featuring painted concrete floors and automatic doors. Situated on a quiet street in a central suburb, you're minutes away from the park, Woolworths, Willows shopping centre, and Riverway. So if you're ready to move in to a tidy family home where all the work has been done for you, look no further. Call me now to book an inspection. Owner Paid Almost $400,000!! You Will Be Getting a Absolute Bargain At This Price.. Designed with the family in mind, this lovingly kept single-level home offers the perfect fusion of contemporary chic and functionality. This neat and tidy low maintenance home would be perfect for first home buyers, young families, investors or down sizers. 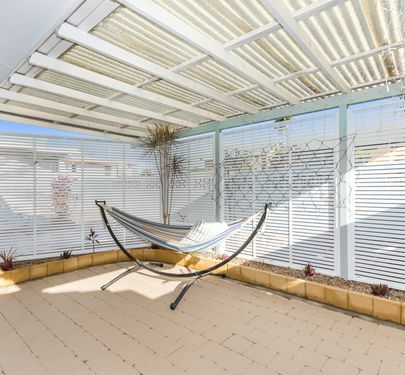 Situated close to the city, this property is located approximately 5 minutes drive to the Beach as well as close proximity to public transport, shops and schools. This comfortable family home offers a number of living and entertaining areas to accommodate the whole family. The light filled family room shares an open plan with the home's kitchen and dining area. Features include tiled flooring, split system air-conditioners, ceiling fans and security screens. The dining area is conveniently located beside the kitchen and features tiled flooring. 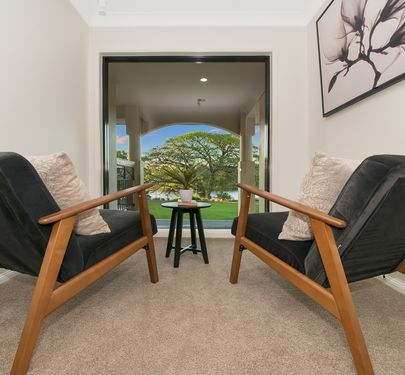 The lounge room has access to the side covered entertainer's deck via a glass sliding door. Entertaining is a pleasure out here with privacy and established gardens setting the scene. With this properties features, location and private aspect it won't last long so be sure to pencil in the first weeks open homes and secure your families new home before it's too late. Much Loved Family Home In A Fantastic Location!! Do you want a house the whole family can enjoy? Do you love entertaining or watching your kids play in the pool? This much loved home has everything you need and will tick all the boxes for your family. The home has recently had a complete re-paint and new carpets with a brand new galley style kitchen as well complete with stainless steel appliances. You will enjoy cooking the family meals with plenty of room to move. The four bedrooms are all great size and are complete with air conditioning and built in robes. The master bedroom is complimented with a great sized en-suite, built in robe and a private court yard area. 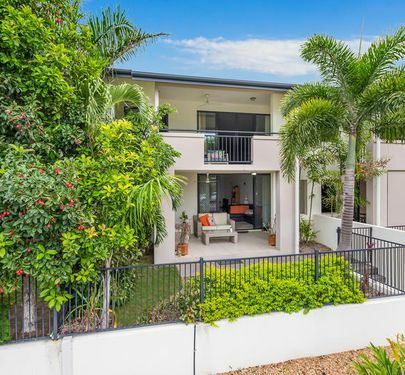 Offering the perfect North Queensland lifestyle is the massive undercover area that over looks the concrete salt water pool complete with a spa and waterfall. 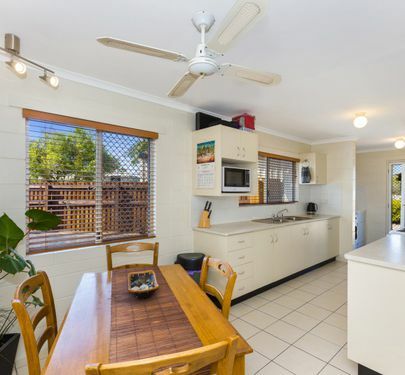 Situated on a 746sqm allotment in a quiet court this home is in perfect central location still close to shops, schools and the Brothers Leagues Club. There is quiet literally nothing left to do here but bring the family. This home is immaculately maintained and you will love making memories here, don't miss out on your opportunity to come and have a look. Inspect Today! Perfect Home In The Perfect Location! Situated in the sought after estate of Willowbank surrounded by quality properties and only a stones throw to the Willows Golf Coarse, this property ticks a lot of boxes. 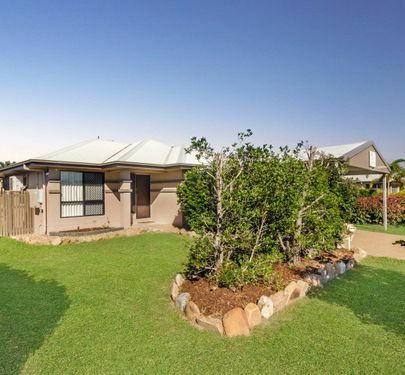 The home is located amongst some beautiful parks and only a couple of minutes drive from the Willows Shopping Centre. The large modern kitchen will make cooking a breeze, equipped with all the necessities. The three bedrooms are all of great size with built-in robes, ceiling fans and air-conditioning. Tying it all together are the two tiled living areas that will ensure plenty of room for the family and guests. 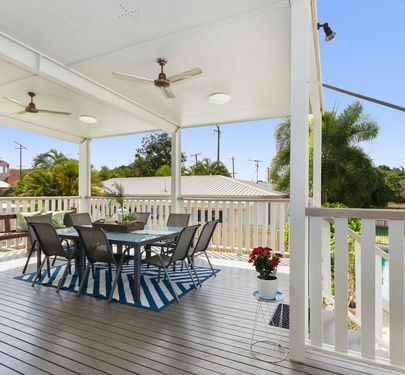 Move outside to the outdoor entertaining area which is complete with a adjustable all weather awning, ideal for the North Queensland lifestyle. The well maintained yard will be a breeze to look after with the automatic irrigation system. The home also has a 3.5 meter side access, large enough for a caravan or big boat. The solar system is also a added bonus to the home to keep electricity costs down all year. The property is a generous 3 bed 2 bath fully air conditioned home with tiles, security screens and LED lighting throughout. This is a very well-designed low maintenance modern home and in this position wont last very long. Come and inspect today! 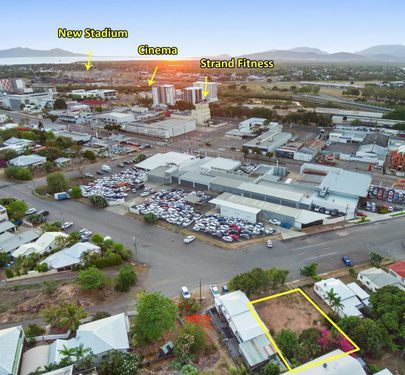 South Townsville has a long list of exciting projects underway with the new Townsville Stadium the flagship. Don't miss this opportunity! Lifestyle or money maker the choice is yours! 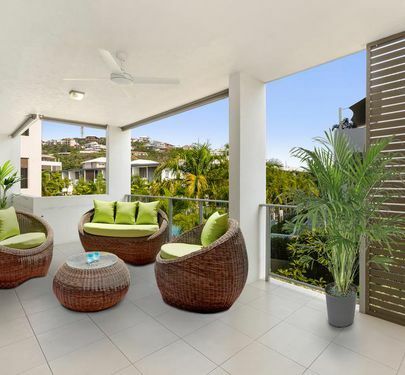 This modern 3 bedroom apartment is nestled in a unique resort style complex and enjoys the added bonus of being a top level apartment with amazing views and breezes. The apartment is of excellent design featuring a sleek kitchen with stainless steel appliances, fully air-conditioned, master with ensuite and fresh colour scheme throughout featuring stone and modern accessories. The balcony is huge and has access from both the master bedroom and lounge. The resort style complex boasts a magnificent lagoon style pool complete with spa, security gated and the bonus of an onsite manager to ensure your peace and privacy. Perfectly located riverside and close to CBD, hospital, university and major shopping centres. Body corporate fees of approximately $1,401 per quarter year. Zoned Cannon Park Commercial, With Eight Storey Potential !! Don't Miss This One! Reap all the potential value of this 809sqm commercially zoned property in a fantastic location. This property is primed to be turned into something special! 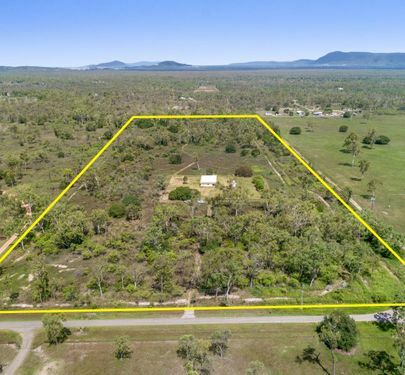 When one of Townsville's most prestigious developers owns all the land and homes around this property, you know something very cool is going to happen here in the future. Until that happens you can run your business straight out of this property with fantastic street exposure, or keep it as a residential house and live comfortably with Tony Ireland Stadium, Ross River and the Riverway precinct directly across the road. There is also excellent access to schools and shops that are quite literally only a few meters away. One of which being the Willows shopping centre which has recently undergone some amazing renovations as well as being the location for the Sunday Markets each week. Once inside the cosiness of this suburban home really takes shape. With polished wooden floor, good sized bedrooms and kitchen. You can comfortably live here and it has in fact been a wonderful family home for a very long time. Do not miss out on your opportunity to snap up this property! Call for an inspection today! 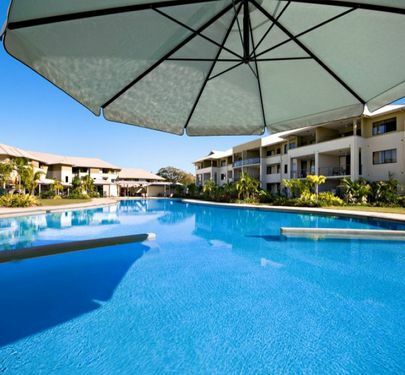 This modern 3 bedroom apartment is nestled in a unique resort style complex and enjoys the added bonus of being a unit overlooking the pool. Access to the large balcony is via the main lounge and also master bedroom. Body corporate levies approx.. $1,391 per quarter. Delightful long term tenant paying $340.00 per week who keeps the unit in as new condition. Body Corporate levies approx. $1,317.50 per quarter year. Beautiful four bedroom home in a quiet court on a corner block with plenty of side access is calling for her new owners. The large double carport has been tiled to be used as either a room for cars or an entertainment area. 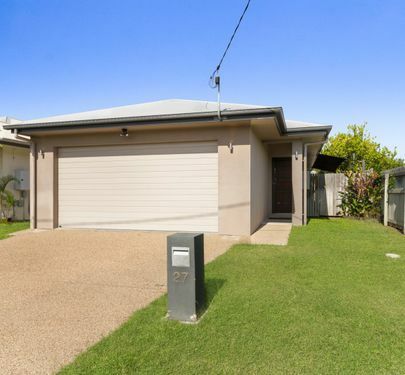 Situated close to schools, Willows Shopping Centre the Ross River and Parkland. 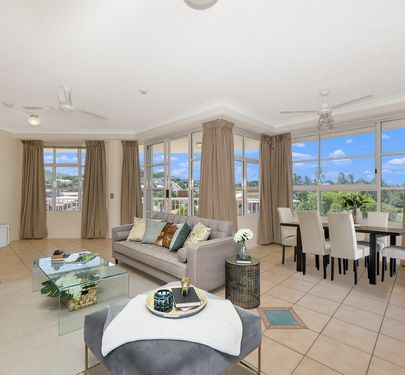 This larger than normal 2 bedroom apartment is perfectly positioned in the prime suburb of North Ward and enjoys all the lifestyle benefits on offer. Situated in a boutique complex of 6 only apartments and only 2 streets from our award winning Strand. Offering two air-conditioned bedrooms, high ceilings, two-way bathroom, open plan living and dining and spacious deck to enjoy. The added bonus of lock up car accommodation and swimming pool to complex. North Ward living is something special, stroll to the beach, enjoy your favourite waterfront restaurant or coffee spot, satisfy your cosmopolitan taste by enjoying the entertainment and inner city life that surrounds you. It’s all at your doorstep to enjoy. This unit is vacant and ready to move into today. Alternatively if you are looking for an investment property a tenant could be secured as quick as a flash. North Ward Realty currently has a list of tenants wanting units to lease just like this one. Exceptional body corporate levies of approx. $980.00 per quarter. OWNER SAYS SELL!!!!! PRESENT ALL OFFERS!!! 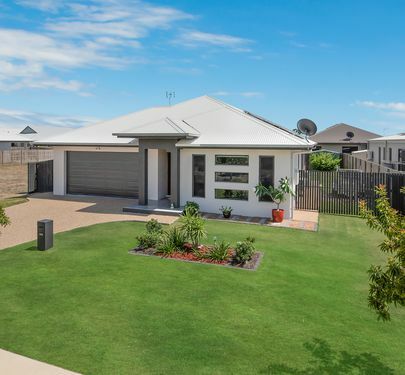 Situated in the suburb of Mount Low amongst quality homes with the City only 20 minutes away and Northshore down the road with schools, shops, local pool and Community Hub. At This Price, In This Location,.....You Would Be Crazy To Miss Out! 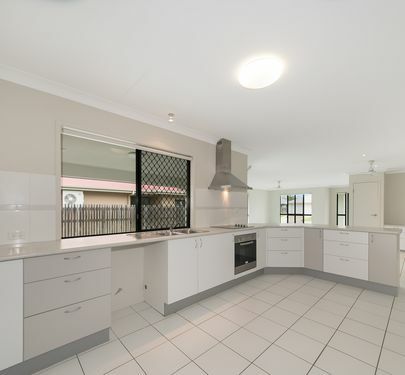 This property is situated in the sought after suburb of Railway Estate, on a 764m2 flat block. Bring your boat and fishing gear and you can store it in the 6m x 6m shed. Upstairs is move in ready with a mix of original and new features from the stained-glass windows, fresh paint to polished timber floors. You will find three good sized bedrooms, a great sized practical kitchen and a bathroom with separate toilet. Create something special with the blank canvas on the bottom level. Let the renovation begin. Choose your layout to suit your needs. 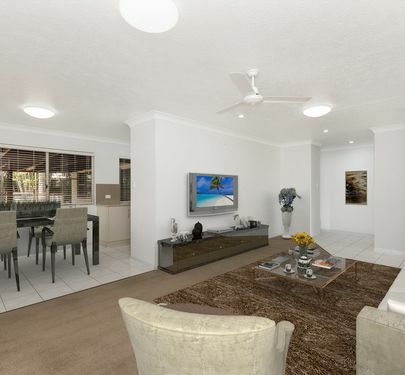 You are still only seconds away from the waters edge, you can enjoy the Ross River or shoot out to the reef. With a tenant in place until until 2020 with a rental income of $345 per week you can't really go wrong as a investment property. Come and Secure your waterside property today! If position and price are important to you than this near new stylish 2 bedroom 2 bathroom top floor apartment deserves an inspection! You will be pleasantly surprised with this apartment - don't drive by come and inspect - owner occupier or investor - the price is right! This stylish 2 bedroom and 2 bathroom unit with air-conditioning throughout offers a unique lifestyle opportunity. The unit is set in a resort style setting with pool and bbq area to enjoy without leaving the complex. Ample on-site parking to accommodate any visitors, which compliments the undercover carpark assigned to the unit along with a storeroom. The free flowing open plan living area graced with modern colour scheme extends to the large balcony which offers a private grassed courtyard and brings the outside in. Entertaining is a real pleasure as the courtyard is shady and cool. The low maintenance lifestyle means leaving the care of the manicured grounds and the pool and entertainment areas to someone else - you are free to just enjoy the peace and tranquillity of your surrounds. The complex has security access and on-site management. 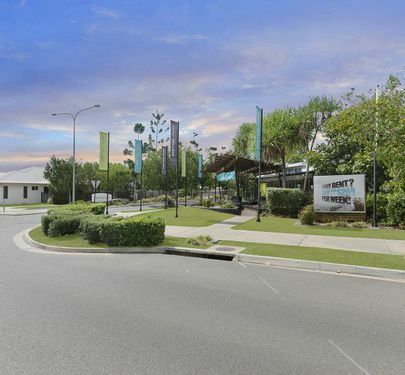 This exciting complex is ideally located with close proximity to the university, army barracks, Townsville Hospital and Fairfield Shopping Complex, as well as only being 10 minutes to the CBD. She's had a delightful renovation with stunning kitchen and bathroom - all combine beautifully to complete this perfect picture! - Downstairs - do what you will!! There is a fantastic bar! - Fenced and a BORE!!! 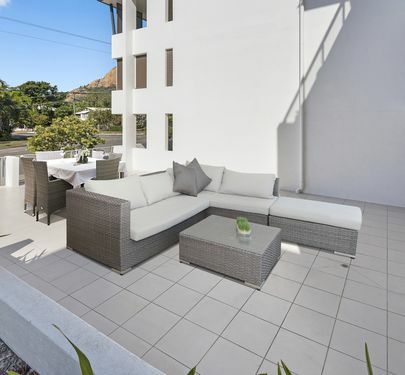 Townsville City living at its best – reside in the relaxing surrounds of Sanctuary On Flinders. 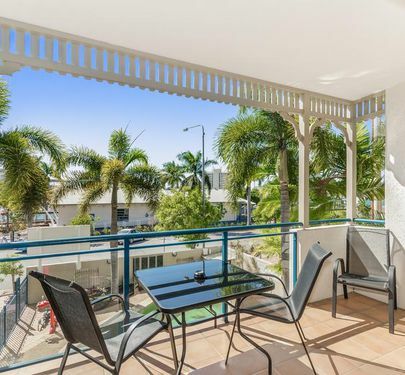 Ideally located with a 2 street frontage this apartment has been designed to provide a private haven for city dwellers who thrive on living in the bustle and excitement of in inner city Townsville. This area has the most upside in Townsville with the new stadium coming just over the river. Offering 2 bedrooms, ensuite to main, fully air-conditioned throughout, open plan living and dining extending to the large patio. Relax around one of the 4 pools on offer or entertain in the outdoor BBQ area. Onsite management and security parking a bonus. Body corporate fees approx. $1,283 per 1/4 quarter. 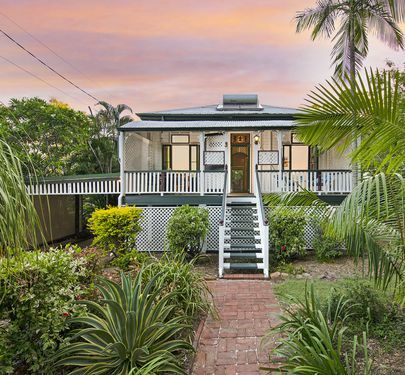 This classic high set Queenslander style home is the surprise package. Set on a high and dry parcel of land in Railway Estate right on the fringe of the city. 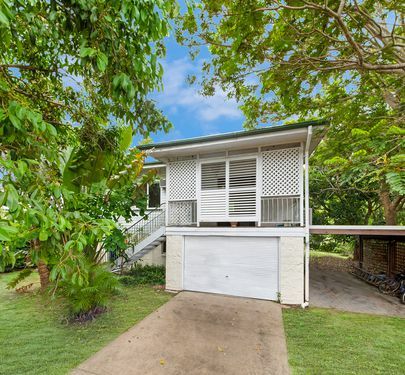 The 809sqm block has two titles making this property a desirable investment option. 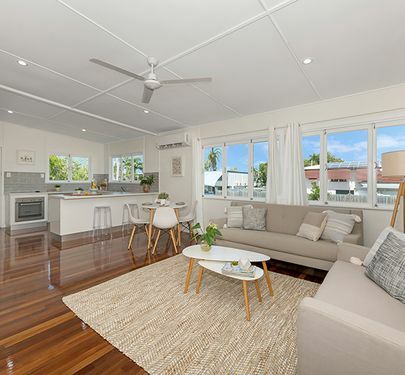 The home has an abundance of character with polished timber floors, high set ceilings and all the characteristics we've come to love of a Queenslander. With a freshly renovated kitchen overlooking the large rear deck and backyard, entertaining will be a pleasure. Clever aluminium shutters offer full security and year round entertainment no matter what the weather outside. Access via a hydraulic lift allows easy excess to the upper level. Under the home is a clean open plan area, ideal for storage or extended rumpus room, it is only limited by your imagination. This is a rare opportunity to purchase a home with such flexibility for the future. 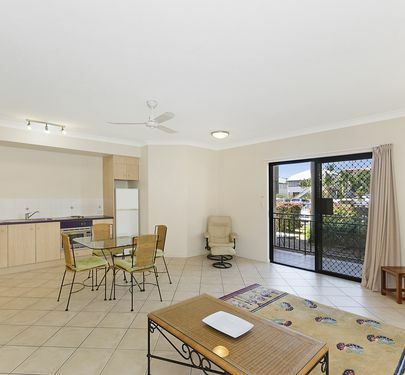 Literally directly opposite the best gardens in Townsville this is a must inspect ground floor apartment. Located a few minutes away to the coffee district in Gregory Street and The Strand this apartment is clearly in a very desirable location. Larger than normal in dimensions and only 6 in the complex continues the appeal. Large master bedroom which has two way access to the bathroom. Both bedrooms and main are air conditioned. Complete with lockup garage and pool in rear of complex with only $3,955.00 approx. per year body corporate fees. This unit is currently vacant and appeals to those who want immediate access. Currently there is strong demand for rentals in the inner city of Townsville so if you are an investor it’s very possible to have a tenant in place for settlement. Situation perfect!!!!!!! Small unit complex situated across from Tobruk pool and the Waterpark down the road, eateries, bars and coffee shops abound. This fully furnished unit is on the market to sell!! This property could be the perfect Air B&B, long or short term rental or use as your vacation unit!! Ring today to view your perfect new purchase!! Freshly renovated townhouse in the heart of North Ward, walking distance to The Strand and a crystal clear swimming pool onsite. 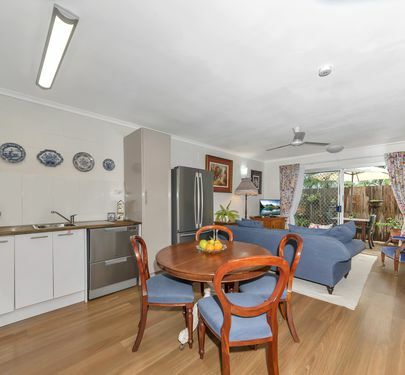 Beautifully renovated tiled floors and open plan living make this property very inviting. With a great galley kitchen and the living area has a large sliding door that takes you to your own private courtyard. Upstairs there are 2 bedrooms both with built-in robes and again fully tiled. There is a linen press in the hall and then there is the beautifully renovated bathroom. Featuring an Internal laundry and 2nd toilet make for easy living. Lockup storage room, single covered car parking with direct access to the townhouse. 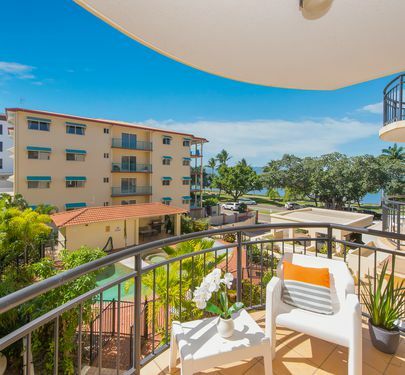 Self-contained and fully furnished secure apartment with split system air-conditioning and balconies overlooking the fabulous resort-style swimming pool and barbeque area. Allocated secure undercover parking. This apartment is not a studio and has a separate bedroom and living area. Complex has a lift. 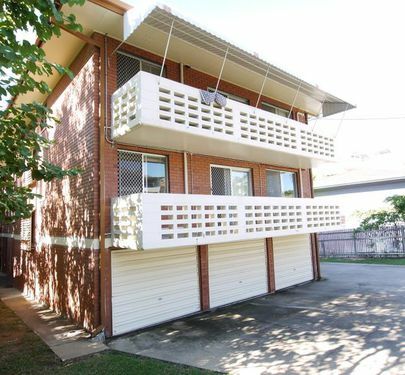 Currently leased for $310 per week this unit would be absolutely perfect for short term accommodation. The area is alive with activity. The Coffee Club is a commercial tenant in the complex. ‘Longboards Bar & Grill’ and the ‘C Bar’ are literally just across the road. Gregory Street is also just around the corner full of cafes and retail offerings. The famous North Ward Realty is within walking distance should you need any property management services. Body Corporate levies approx. $1,768.55 per 1/4 year. 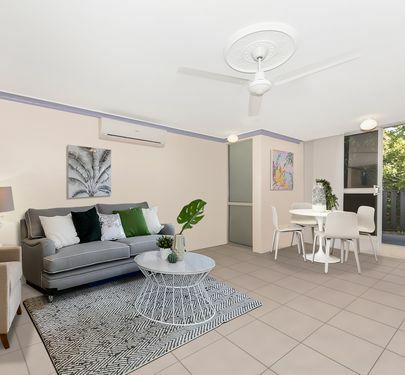 Here is the perfect opportunity to snap up this stylish and modern unit situation in one of Townsville's most prestigious suburbs; Idalia. This amazing unit features two great size bedrooms complete with air conditioning, carpet and built in robes. The best thing about this unit is that it has TWO bathrooms! That's right, the main bedroom has an ensuite and the second bedroom has the main bathroom right next to it - perfect for dual living! There is an internal dedicated laundry area as well plenty of storage space. The kitchen is of good size with plenty of cupboard and bench space, the kitchen opens out to the open plan living and dining area. If you are looking for a bit more space to entertain your guests then head out to the enclosed patio. There are sliding glass doors access off the living room as well as the main bedroom. You'll be feeling safe and sound located in this secure and gated complex. The complex offers facilities such as a private gym, amazing pool area - perfect for those really steamy days and a BBQ area for those lazy Sunday's where you don't feel like cooking in the kitchen. Being located in Idalia you are close to great schools, the Precinct, a short drive to Palmer Street for great restaurants and The Strand. Another great thing is that you are also going to be closer to the new stadium once it's completed. The choice is yours when it comes to this unit, you can either live in it yourself and take advantage of the great things it has to offer or you can use it as an investment property as it's in a great location for anyone going to JCU, working at the Lavarack Barracks & the Hospital or anyone working in the city. Whatever you do, do NOT miss out on this! Rock Solid Family Home For A Cracking Price! This property is a rock solid home and with all the extras that have been put into it, its honestly cracking value for money. Beautifully executed on this sprawling 678 sqm parcel of land that is perfectly situated in the heart of Rasmussen. Offering substantial living and an abundance of light and space without compromising on privacy, this house has been thoughtfully designed with a busy family lifestyle in mind to make the most out of every space. Entering the home via the front porch, you are guided into the living and dining room where tiled floors add to the sense of space and keep the home cool. The large windows invite natural light and gentle breezes with a fantastic view of the yard. Ceiling fans and split system air conditioning in the home offer additional options for keeping you comfortable in summer. 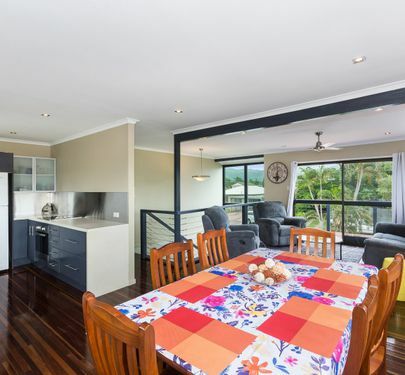 A good size kitchen boasting ample bench-top space, stainless steel appliances and spacious meals area open out to the covered alfresco area and takes full advantage of the views to the rear entertaining area. 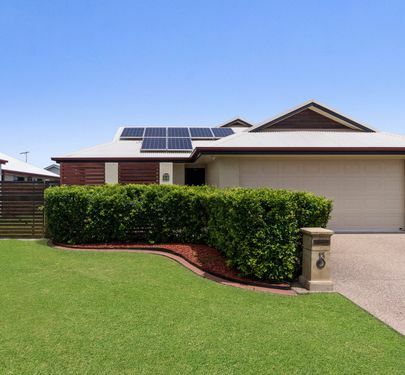 Good size bedrooms and living space provide comfortable accommodation for the growing family while the large private entertaining area at the rear of the home is an ideal area for entertaining family and friends and its also fully fenced so a very safe play area for kids. Expansive and fenced, the lawn is perfect for children and pets to play in and if you need more space for storage or toys the property also boasts a fantastic brand new 6x4 powered shed. This is a lovely family home with nothing more to do than move in and enjoy. A Massive Opportunity Awaits!! Don't Miss This One!! If you are looking to build your new home and are looking for a block of land look no further. This flat 506sqm inner city block is a must. Positioned just down the street from the new stadium, strand fitness, the movies and the city centre, you'll be hard pressed finding a better spot. The block is already on two titles so you could even sell one and build on the other if you wanted to. Plans have been completed and approved for 2 x 3 bedroom duplex's on the site. The site has been cleared and has the ability for the works to commence immediately. Position is everything when you're talking real estate so don't miss this one. All This For Almost Land Value! Don't Miss It! Are you after your own space, somewhere peaceful and quiet and for almost the same cost as a block of land! This low set 4 bedroom block home is privately tucked away in a very quiet street and surrounded by a abundance of wildlife. The main bedroom is of generous size and the en suite is there however it does need to be completed to your own personal specifications. The property also accommodates another 3 bedrooms all with ceiling fans, a generous sized main bathroom with separate toilet, a large practical kitchen with a dining room and a separate living room with air conditioning. The beautiful rear patio is a place you can easily forget about the rest of the world. Catching beautiful cool breezes with a stunning view of the gardens. 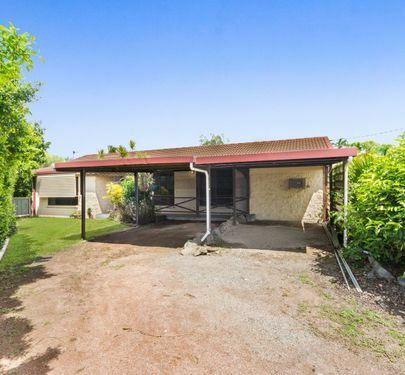 The property is fully fenced and certainly doesn't lack storage with a garden shed out the back, it also comes complete with a double carport. All of that with the country feel right at your doorstep. Now it does need a little bit of work but when you're talking about almost land value its got to be worth it! Come and Inspect today. The absolute best location for short term accommodation on The Strand! Unit 2/59 The Strand is a ground floor unit which is currently has a 10 week lease in place. Options after this including Airbnb, in house short term accommodation from the newly appointed letting company, live in yourself or long term lease. Most of the iconic names associated with The Strand are literally next door or a short moments stroll away. C-Bar, The Seaview, Longboards Bar and Grill, The Coffee Club are all a couple of minutes away. Car parking is via an undercover secure car park with lift access to ground floor. Unit 2 is the only unit and car park in the complex specially set up for disability access. Corporate levies approx. $1,204.34 per quarter year. This modern unit is located on the first floor over looking the Ross River and stunning Mt Stuart. The main bedroom is located at the rear of the unit and has its own sliding door access to the huge balcony. The main bedroom also features robes and ensuite. 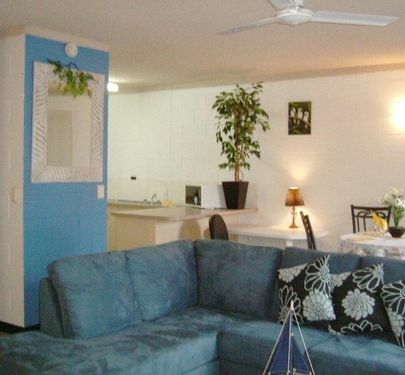 The apartment is fully air-conditioned and includes ceiling fans throughout to ensure year round comfort. 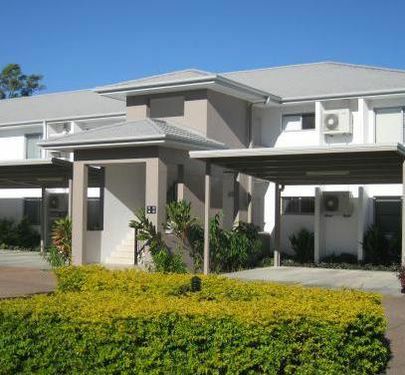 Located by the Ross River and close to the hospital, university and major shopping centres. This unit can settle in 30 days and would rent very quickly in the current market and with those super body corporate fees it has got one of the best return on investments in the inner city. 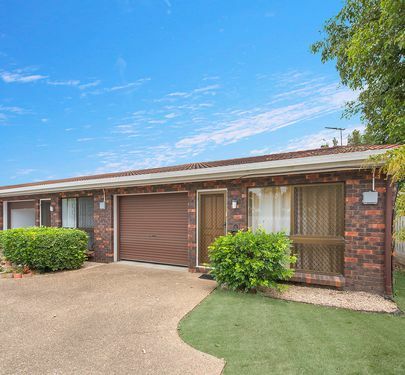 Located in the family friendly suburb of Currajong this family home needs an upgrade, with a solid roof, carport to the side and garage under plus a couple of good storage rooms downstairs. There is a covered entertainment area with BBQ and pizza oven once all jazzed up will be a great place to entertain also don't forget the 2.5kw solar with 12 panels!! In the heart of North Ward this updated 2 bedroom unit is within walking distance of cafes, shops and the beach. The refreshed kitchen and bathroom make this unit a must to inspect. Unit has been renovated with new tiles and paint and looks a treat. Fully air-conditioned with the main having a massive built-in robe. Combined living dining area the unit also features front balcony from living area and large rear balcony with views to Castle Hill. Internal laundry, under cover parking with lockup storage to complete this fabulous unit. Currently rented for $210 per week. If you are looking for a distinctive unit offering character rarely seen in a unit under 200k inspect 5/88 Eyre Street North Ward ASAP. Body Corporate levies approx.. $742.50 per quarter. Body Corporate levies approx. $1,099.58 per quarter. For only $179,000 you would be CRAZY to miss this! 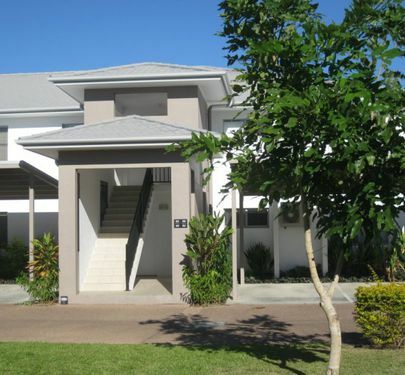 Are you struggling to find a rental property in Townsville at the moment? Well maybe buying is the answer. For under $180,000 you can get a 2 bedroom town house directly across the road from this park and really close to the city still. The first thing you notice when entering the unit is everything is new, new flooring, new paint jobs and 3 new split systems air conditioners. The open plan lounge room is adjacent to the spacious and well appointed kitchen. There is a large store room or utilities room underneath the stairs and a tiled laundry which leads out to the rear of the property. Make your way to the top of the stairs and discover a central open space which could house a study or a computer desk. Both of the bedrooms have built in cupboards, fans and sliding glass doors with security screens opening to their own balconies. The main bathroom itself separate from the toilet and centrally located between both rooms. The property is equipped with a 2kw solar system. There are eight 250 watt panels on the roof each attached to a yc500 micro inverter designed to keep electricity cost down all year round. Cutheringa Park itself is one of the best maintained parks in Townsville. You will have a Martial Arts centre, Vigoro and Cricket centre and a fenced kids play area. As a investment property you will have no trouble getting this rented for good money and for somewhere to live this close to the city what a great place to be. 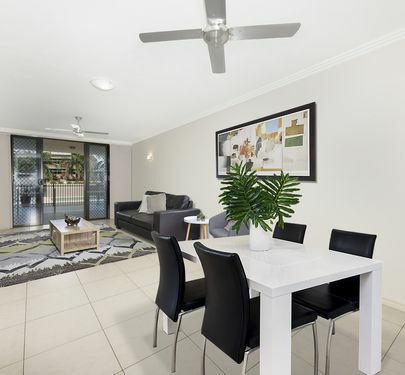 Position, position...................... walking distance to Stockland Shopping Centre, Restaurants and Public Transport. Two bedroom unit at the rear of the complex with a total of five units in a fantastic location with all your amenities so close. 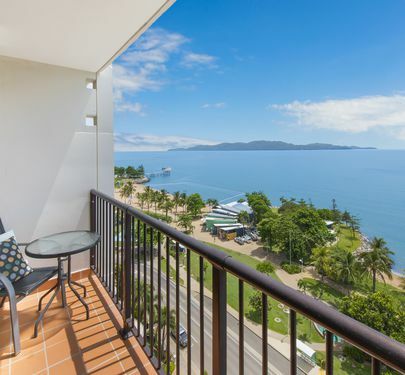 This contemporary studio apartment is situated within the iconic 'Aquarius on The Beach' complex which enjoys a spectacular waterfront position on The Strand. The views are fantastic at about level 8 so you can just image what it’s like in unit 1203! 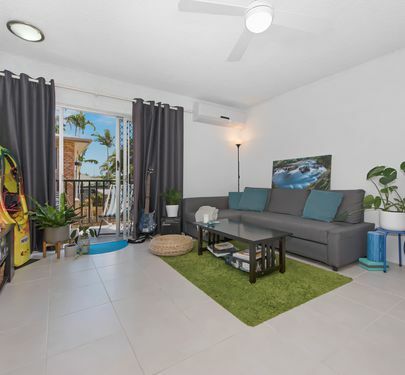 Fully air-conditioned the apartment features a sleek decor with modern fixtures and is tiled throughout. Right on the beautiful Strand beach and a short stroll to an array of boutique shops, cafes and restaurants you will be close to all that The Strand has to offer whilst enjoying relaxed resort-style living. Current under short term lease the options for this unit include living in, putting the unit into the hotel pool, or longer term leasing or any combination of the above. Free on-site parking is available at the complex. Body Corporate levies approx. $1,213.70 per quarter year. INVESTORS NOTE All Offers Presented! This amazing 2 bedroom unit is oh so quiet and well maintained. 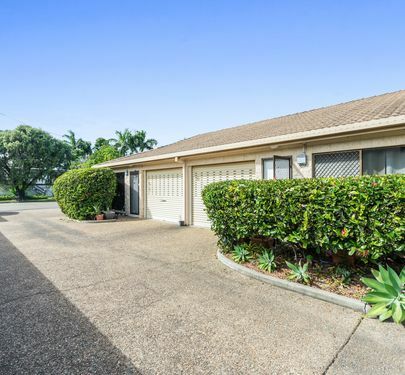 Set in a small block of only 4 units this property will represent clever buying to any investor. 2 generous bedrooms, bathroom, separate toilet, internal laundry. The unit has its own lock up garage with remote control and direct access to the unit. Private rear courtyard add the finishing touch to this great property. Security screens and air-conditioning throughout. Currently rented at $195 per week and body corporate of $957 (approximately) per quarter. 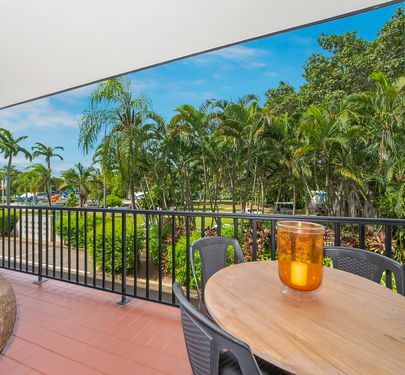 Fantastic location with one of the cheapest two bedroom ground floor units on the market in Townsville the amenities in this complex are second to none with tennis court, brand new swimming pool, gymnasium and a squash court. The unit is open plan with two good sized bedrooms to the rear of the property, separate toilet, spacious bathroom/laundry and large open plan kitchen/dining. 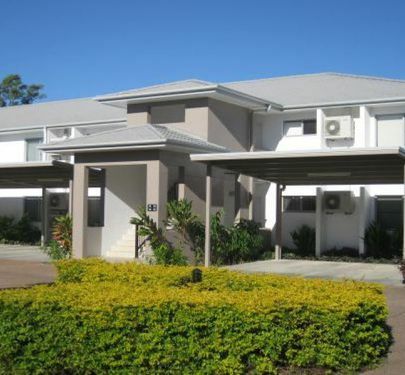 Automatic sliding gate access to the gated community for security plus you have a single carport with storage attached as well as having ample visitor parking all monitored by security cameras. Central location with close proximity to the Strand, Jezzine Barracks with all the walk ways and eateries along the beach front. Would a block of land for $112,000 with a rent return of $307 per week interest you?! If you are looking to build your new home or an investment property then look no further as I have the perfect block ready and waiting for you! Located on Dunlop Street is this 554sqm block of land. The owner paid $157,900 for it and was going to build once the lease ran out however their work now has them moving down south and the property has to be sold. 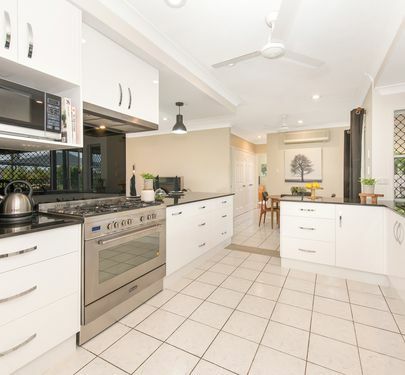 Living in this suburb has some great advantages; not only are you surrounded by local parks, shopping centres, corner stores but you are also in close proximity to the Kelso State Primary School which is just walking distance away, as well as being a short distance to Rasmussen State Primary School. One of the other great things about being in Kelso is the easy access to the Ross River Dam which is literally just across the road of Riverway Drive! 26 Dunlop Street is currently being leased for $307 per week and is in place until September 2017 with a tenants option of 3 further 6 month terms paid at $755 per month. You better be quick with this block as I don't think it will last long!